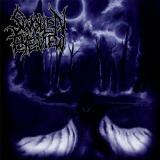 Surging from the western coast of Finland, Swollen Eye View recently put out Perpetual Slaughter, the second demo thus far in its three-year existence. Their style of somewhat melodic death metal feels decidedly European, falling somewhere between latter-day Carcass and mid-school Swedish groups like At The Gates, maybe even The Crown. The raw-yet-pounding-and-balanced production job could even give you a sense of Entombed’s most polished moments, but their musical side remains decidedly more modern and just slightly technical. The opening blasts and tremolo-picked riffs of Mutilated Body Anatomy could even fool you into thinking a grincoreish tsunami is on the way, but once the verse darts off in a speedy splash of pure death metal and steady bursts of double kick drums, you can stop ripping your Napalm Death T-shirt out of the closet. Singer Sami Risku’s throaty growl definitely has a touch of Jeff Walker in it which makes the delightful stench of Carcass that much stronger. Guttural growls are sprinkled here and there which brings nifty variation without getting overbearing. I find music like this often excessively burdened by monotonous Chris Barnes-impersonators and Risku manages to avoid this pit. Graveyard Silence mixes similar grinding rhythms with considerably more groovy riffage which feels a bit out of place on record but I could imagine working much better in the live setting with more fists banging around you. The slightly Slayerish guitar solo is fitting enough. A special tip of my hat to the sweet drum fills at the end of this one. Savage Resurrection is a rapid fire beast that really gives those kick drums a beating. I enjoy the hint of thrash metal in some of the riffs. Then the final song, Death Run, throws the second biggest curve ball with a mellow mix of guitar leads and female vocals harmonizing in unison through the intro before cranking it up into a tasty headbanger with more thrashy elements, especially with the drums. What about the biggest curveball, then? Well, after one feels that the last song has already ended, after a little under two minutes of silence we find a lone piano picking out some notes that first give you some spooky Exorcist-style vibes before rhythmically and even somewhat in melody reminding me of Beethoven’s Moonlight Sonata. Some light guitar, really low key drums and a few lines of ominous speaking join the piano for a short while. A very interesting and unexpected move, which I liked very much. Overall, Perpetual Slaughter is a very promising slice of death metal that shows a technically very talented band that is very interested in mixing things up beyond just grinding their craft out as fast and heavy as possible. I think that the group’s biggest task right now is finding how to combine their melodic ambitions into the brutality as smoothly as possible. It seems clear to me that stylistically they don’t want to head into full-blown modern melodeath mode in the vein of say, In Flames, which would be a wise move in my mind. Bringing in the kind of surprise elements like the “hidden track” after Death Run more clearly would be a good place to start in my mind, puritans be damned.